Wolfsburg - Following VfL Wolfsburg's 1-1 draw with Hamburger SV on Friday evening, Dieter Hecking's charges seemed relieved to have held on for a share of the spoils, while Hamburg's players felt they had missed a great chance to leave the Volkswagen Arena with all three points. Maximilian Arnold: Hamburg kept putting us under pressure towards the end, it became increasingly difficult vor us. We have our goalkeeper [Diego Benaglio] and the woodwork to thank for snatching a point today. We also have to take our chances at the other end, that's why we lost control of the match today. It's a real pity. Patrick Ochs: Things just didn't go in our favour towards the end. It's difficult to explain why really, we kept winning most aerial battles but Hamburg always seemed to gain possession, creating chance after chance. 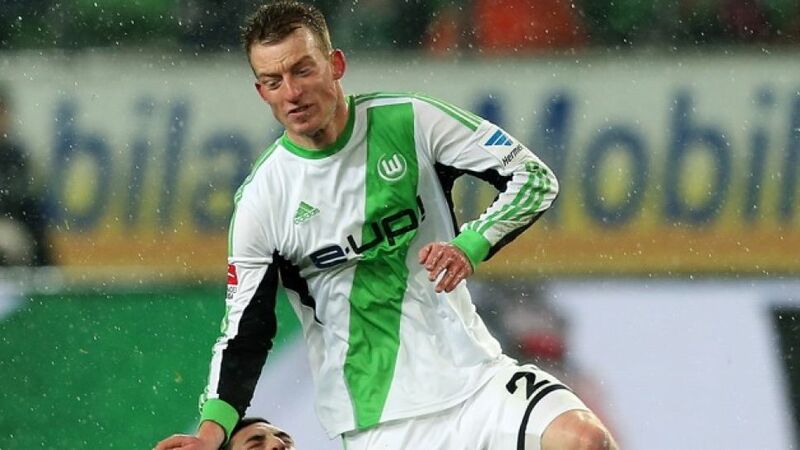 Marcell Jansen: It's a shame we couldn't achieve what our performance in the final 30 minutes deserved. Ultimately, we have to settle for a point, which isn't enough considering we had five or six great opportunities that fell to several players. I have to try and come to terms with this result over the next couple of days, then we have to focus our attention to the cup game on Tuesday. Pierre-Michel Lasogga: If you take the last half an hour into account, it certainly wasn't an even game because we were simply the better team that created the better chances. At the end of the day, we should be happy that we've managed to take a point from Wolfsburg, but it should have been three.